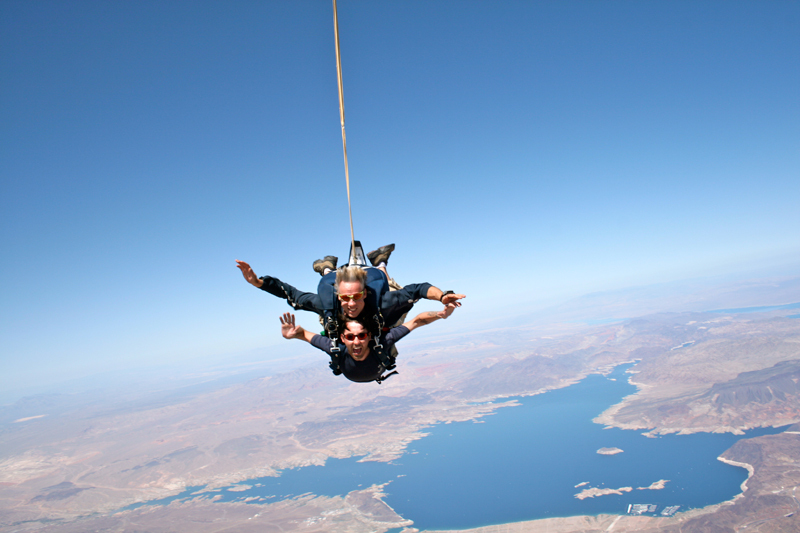 Las Vegas skydiving activities and adventures provide an adrenaline thrill like no other! Experience an exciting free fall, followed by a parachute decent while you enjoy amazing views of Las Vegas and the surrounding desert landscape. 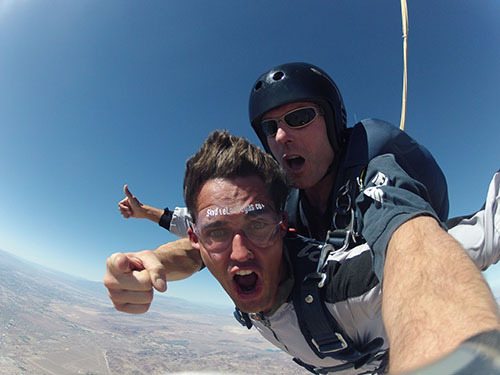 Skydive Las Vegas promises a once in a lifetime adventure. At Skydive Las Vegas, you'll free fall at 120 to 140 MPH and in addition, enjoy incredible views of Hoover Dam, Lake Mead, the Colorado River, the Las Vegas Strip, Valley of Fire, Red Rock Canyon and Mt. Charleston. This view makes for a beautiful backdrop for pictures and video of your experience. Complimentary shuttle service from the strip is offered twice a day (8:00 am & 12:00 noon) depending on the season. Tandem instructors will guide you from the aircraft into an adrenaline-filled freefall skydive experience from 15,000 feet above mother earth. Feel the sensation of weightless flight at speeds approaching 140 MPH while taking in views of the Las Vegas Strip, Red Rock National Park and Mount Charleston. 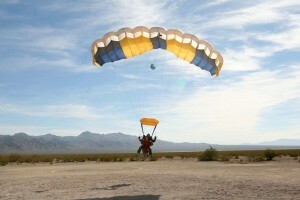 Sin City Skydiving specializes in first time tandem skydiving and student training. Sin City Skydiving is conveniently located 20 minutes from Las Vegas, Nevada and offers free round trip shuttle service to their jump site.. 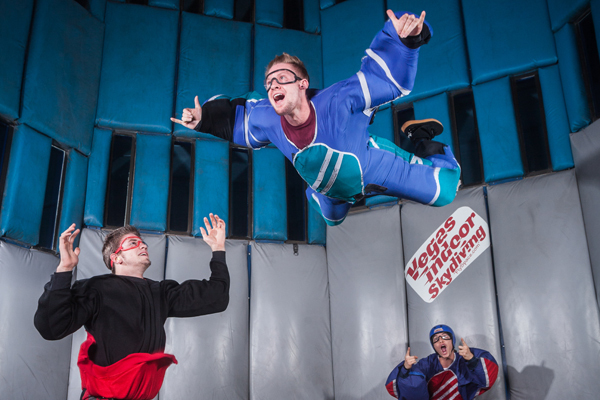 Experience the thrilling sensation of skydiving, without a parachute or airplane, as a 1,000 horsepower motor keeps you soaring through air in America's original indoor skydiving facility. The propeller turns on and the air begins to flow. You’re floating, flying, free falling through the air with wind speeds up to 120 mph.